This Place of Worship was founded in the 12th century, and we understand it is still open. Kelly's Directory of 1932 describes Barlborough as an ancient village and parish, 8 miles north-east from Chesterfield, 11 south-east from Sheffield, 1½ miles north-west from Clown station and 3 east from Eckington station on the London, Midland and Scottish railway. The church of St James is "a building of stone, consisting of chancel, nave of four bays, aisles and an embattled western tower with 8 pinnacles, containing 6 bells... with inscriptions in coarse Gothic characters". The nave is separated from the aisles by an arcade of four semi-circular Norman arches on three piers. The chancel arch is Early English, as are also probably parts of the tower, the west front of which bears the arms of Goushill and Longford, "but the battlements and pinnacles are Debased Perpendicular". In the chancel is a monument to Sir Richard Pipe, Lord Mayor of London, and patron of the church, d.1587. In 1899 the south side of the nave was pulled down, and a south aisle constructed. The parish records date from 1648, and "are in good condition". The living in 1932 was a rectory, in the gift of Mrs Locker-Lampson, and had been held since 1928 by the Rev. Edgar Gwillym Walmsley M.A. of St John's College, Oxford. The Rt. Hon. G.L.T. Locker-Lampson, M.P., and Mrs Locker-Lampson lived in Barlborough Hall - "an Elizabethan mansion of unusual design", built in 1583 by Francis Rodes, Justice of the Common Pleas. Also mentioned is a church institute and reading room; and a hospital, erected and endowed in 1752 by Margaret and Mary Pole. The hospital was for six widows, each of whom received 6s. per week and four loads of coal annually. 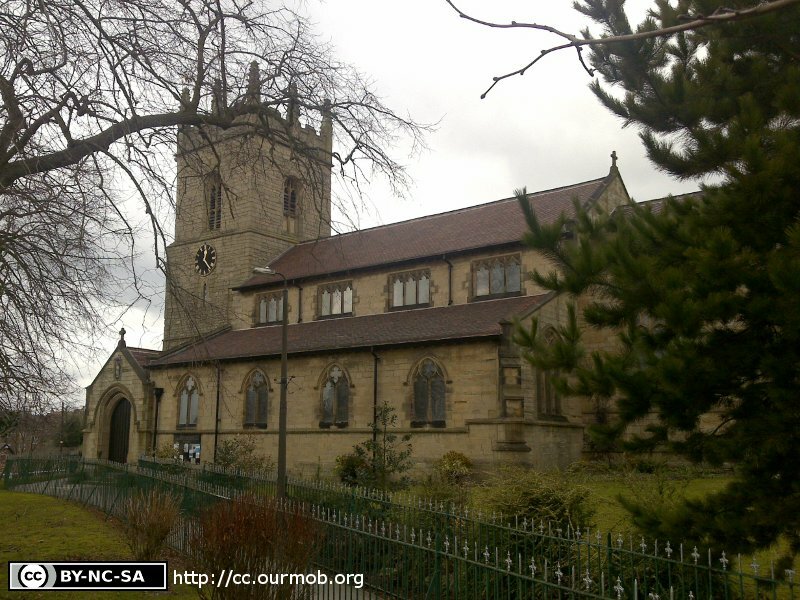 The return to the Religious Census of 1851 (HO 129/436/4/2/9) for an estimated congregation on March 30th of 102 in the morning and 87 in the afternoon, with 50 and 34 Sunday Scholars respectively was completed by John Hawksley, Curate, of Barlborough, Chesterfield. He was unable to provide a dedication, nor a date of consecration, other than "before 1800". Understandably, St James the Greater's Church website, in its history of the building, is better able to confirm its dedication, to "the apostle St James the Greater, a fisherman from Galilee and brother of St John". But it also mentions it has been known as St Margaret's, or St Matthew's on occasion. All in all, a very useful website. 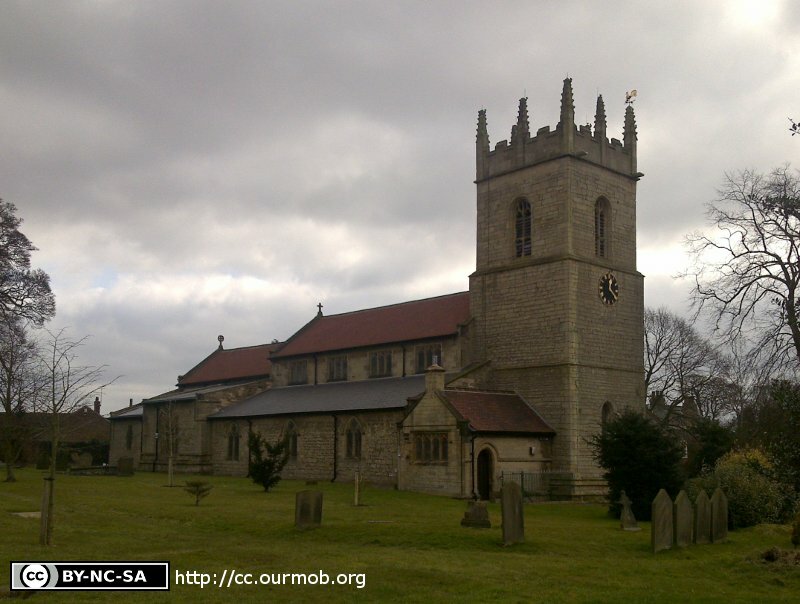 St James the Greater's Church, Barlborough shown on a Google Map. 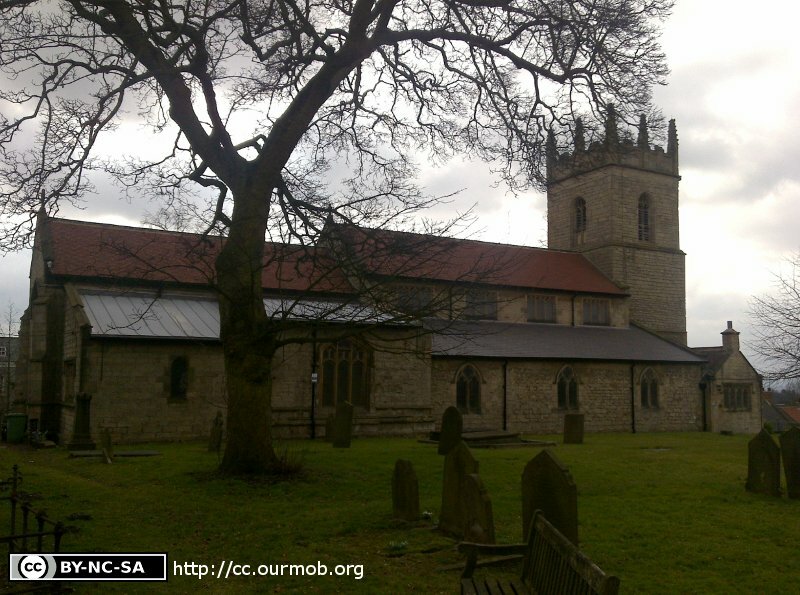 Places of Worship in Barlborough shown on a Google Map. I have found many websites of use whilst compiling the information for this database. Here are some which deserve mention as being of special interest for Barlborough, and perhaps to Local History and Places of Worship as a whole. You may want to visit St James the Greater's Church website for present-day information. Information last updated on 16 Dec 2018 at 14:59. Please also remember that whilst the above account may suggest that St James the Greater's Church remains open and accessible, this may not remain so. This Report was created 4 Apr 2019 - 07:07:56 BST from information held in the Derbyshire section of the Places of Worship Database. This was last updated on 6 Feb 2019 at 15:49.